The world's only Naturally Purified Baobab Fruit Powder to contain 70% Fiber. 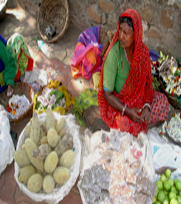 In fruit of the Baobab tree is the newest arrival on the natural products fiber scene. The Baobab tree grows wild in the feral savannahs of South Africa and parts of India. 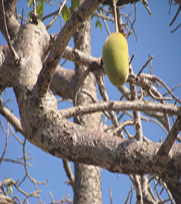 Known all over the world as a “Super Fruit”, Baobab contains an extraordinary blend of vitamins and minerals. 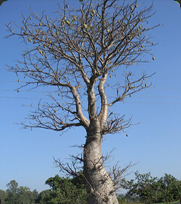 The Baobab tree has been called the ancient tree of life and some are believed to be thousands of years old. The vast tree trunks store up to 30,000 gallons of life-saving water for use by the local nomadic people during the long drought season. 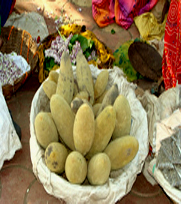 The Baobab fruit provides fiber, vitamins, minerals, antioxidants and other essential nutrients. The Baobab tree is called by many different names, but most commonly is referred to as the “upside down tree”. An excellent source of dietary fiber, Baobab fruit pulp is also rich in Vitamins C, B1 and B2 and loaded with the minerals Calcium, Iron and Magnesium. Nutraceuticals International Group® has partnered with a direct manufacturer of Baozene®, a standardized Baobab fruit powder extract. Using a proprietary manufacturing process, Baozene® is the easiest, most effective way to add fiber, antioxidants and essential nutrients to any product. While providing the health benefits of Baobab fruit, amazing Baozene® is also low in calories, sugar, fat and carbohydrates. It is soluble in hot and cold water, so adding fiber and vital nutrients to any product is simple and easy. Also, it can be used as a sugar or fat substitute to provide even more health benefits.